Voting has ended for the 2017 Best Burger Foodster Award. Congratulations to Tap Room at Dubsdread and first runner up The Whiskey. Please visit the Foodster Awards Page to vote in our other categories. Scott Joseph’s Foodster Awards for Independent Restaurants recognize culinary excellence in restaurants with three or fewer locations. These restaurants have been nominated for the 2017 Best Burger Foodster Award. To vote, click next to the restaurant of your choice -- choose only one -- then submit by clicking the VOTE button at the bottom. Voting ends Jan. 5, 2017. The winner will be announced in the weekly e-letter on January 6, 2017. 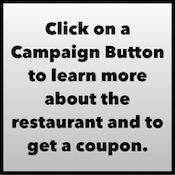 If you'd like to learn more about some of the nominees and perhaps get a coupon to try them, click on one of the Campaign Buttons for information from the restaurant. Please vote for only one restaurant. Multiple votes will not be counted. If you'd like, leave a comment below giving your reason for your vote; we might quote you when the winner is announced. 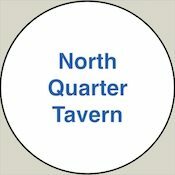 You may submit a write-in candidate, but keep in mind any nominee must qualify as an independent restaurant with three or fewer locations. Any chain restaurants nominated will be deleted. May the Best Burger win! Please note: One vote per person; if you've already voted, the VOTE button will not appear. Watch for upcoming categories and the announcement of the winners, every week in Scott's e-letter.